Franzen Brushed Chrome Combination Lock Set. This Brushed Chrome Franzen combination lock set suits many briefcases and is one of the most popular sizes. 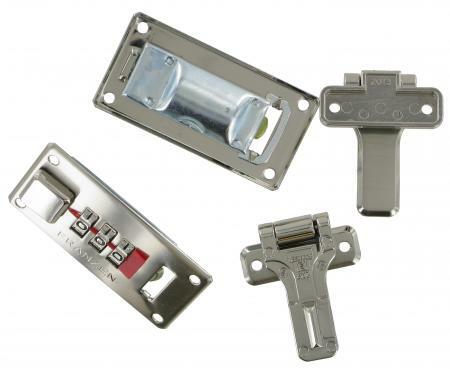 The set includes two locks and two hasps and is available in the brushed chrome finish only.